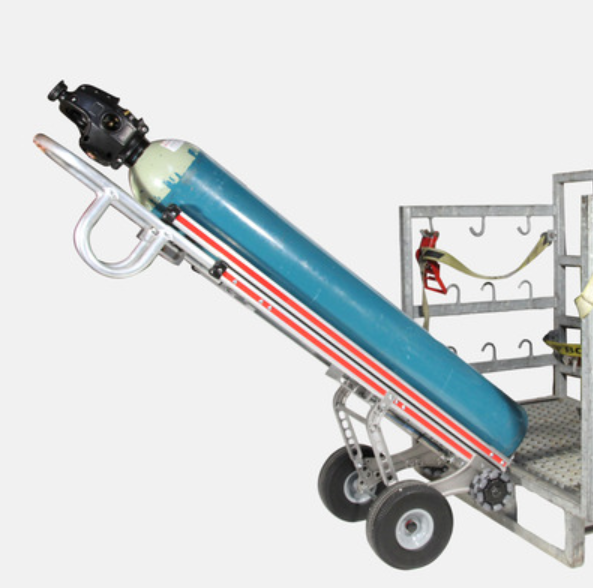 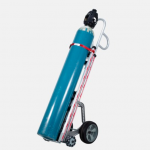 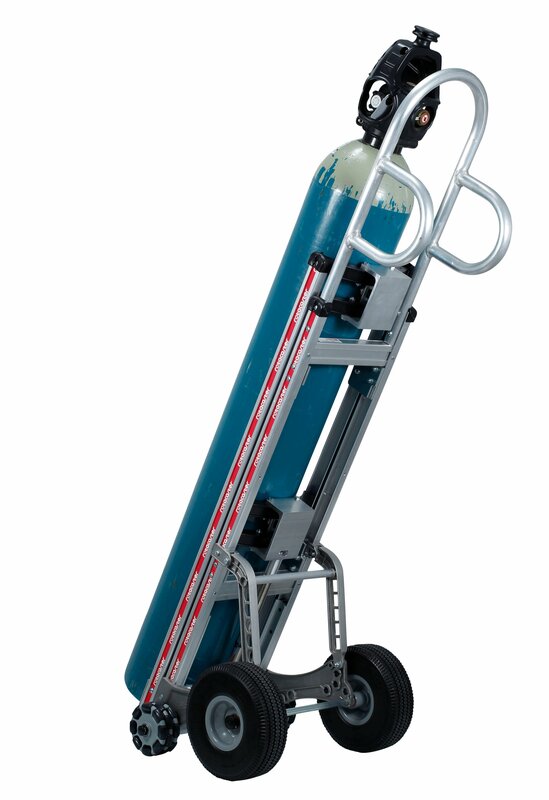 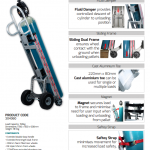 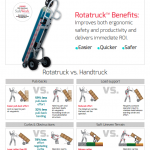 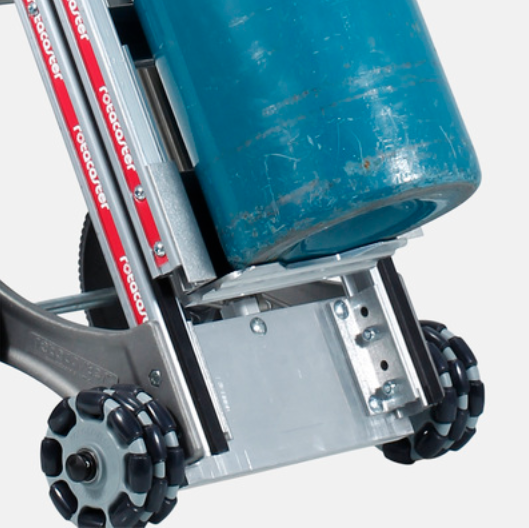 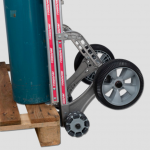 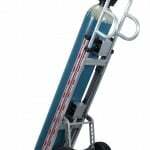 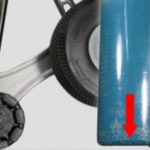 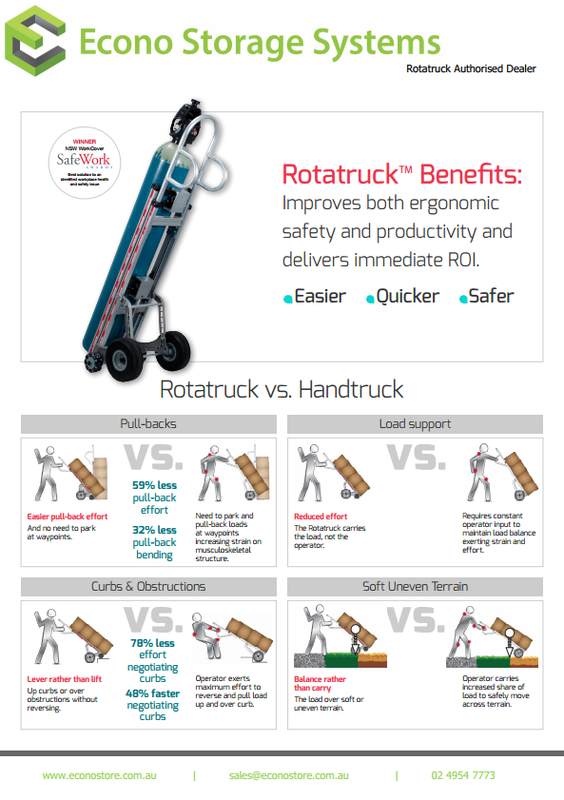 The Lift Assist Gas Cylinder Rotatrucks make cylinder handling safe and convenient. 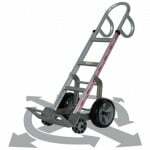 Adjustable, carriages permit cylinders to be carried at a comfortable angle. 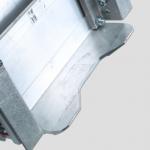 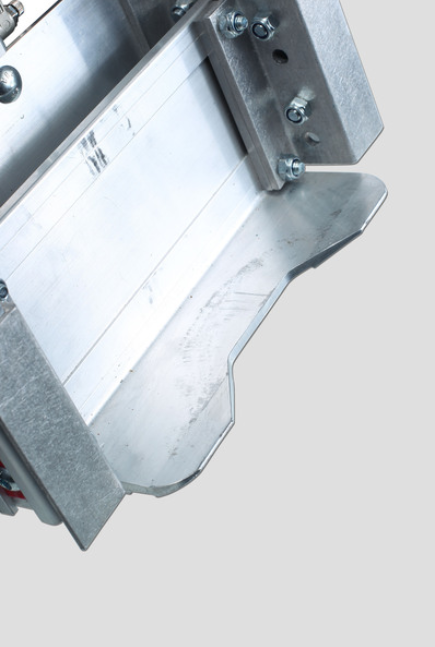 Fluid Damper provides controlled descent of cylinder to unloading position. 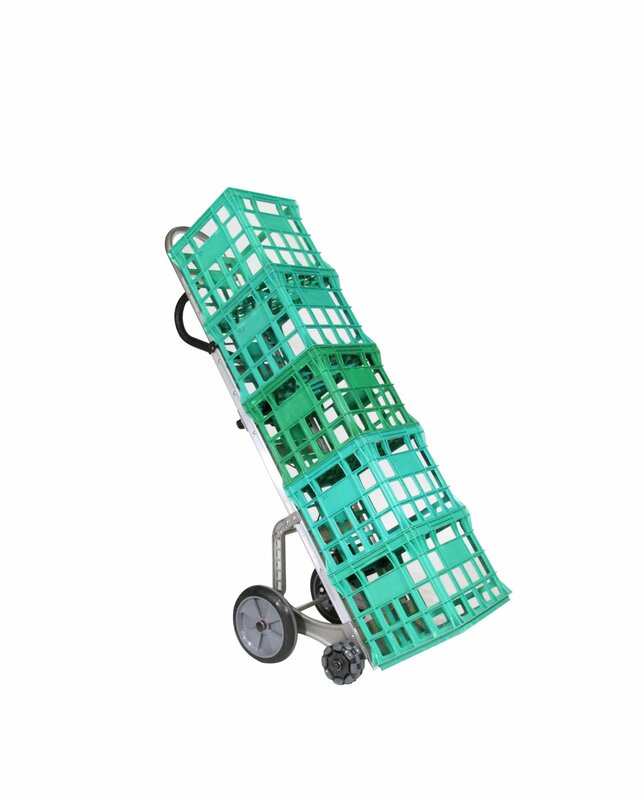 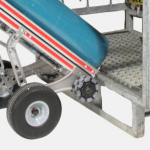 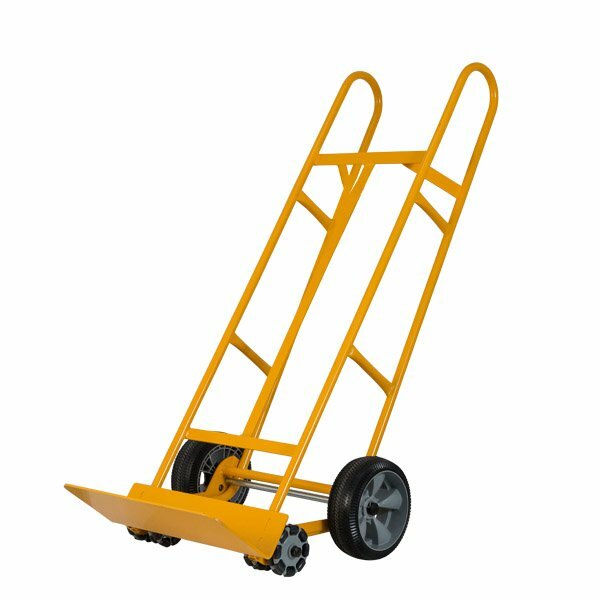 Sliding Dual Frame ensures wheel contact with the ground when unloading pallet. 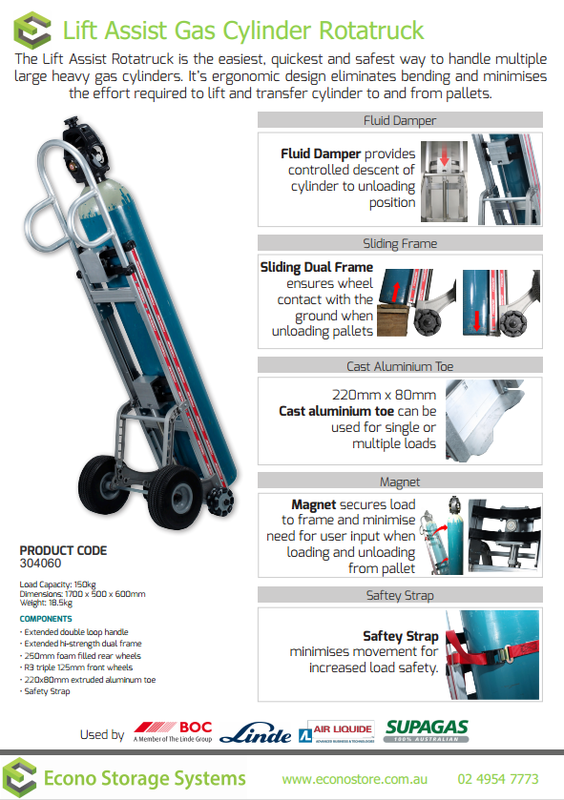 Magnet secures load to frame and minimise need for user input when loading and unloading from pallet. 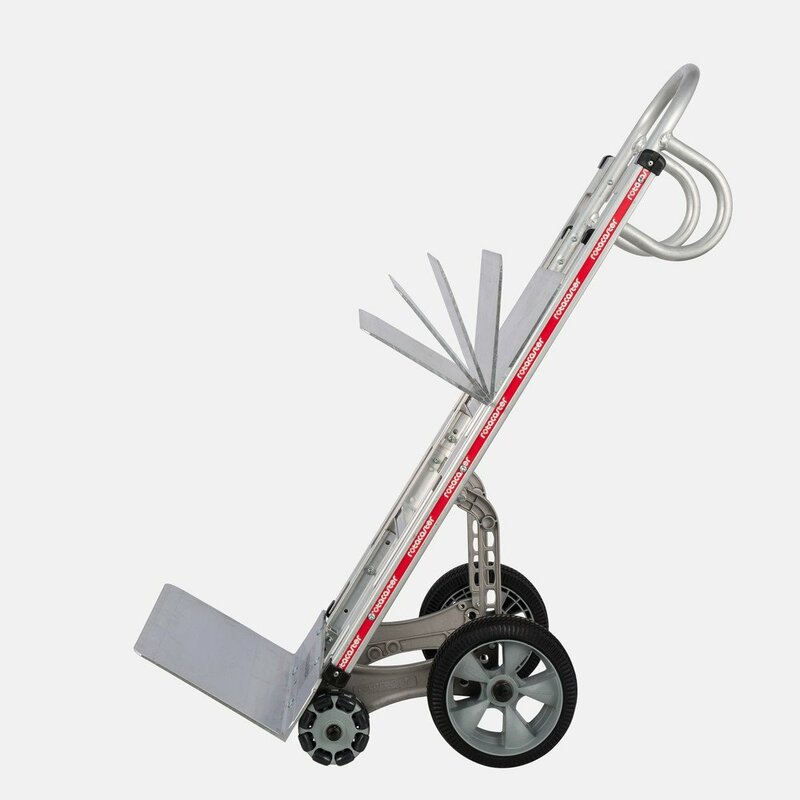 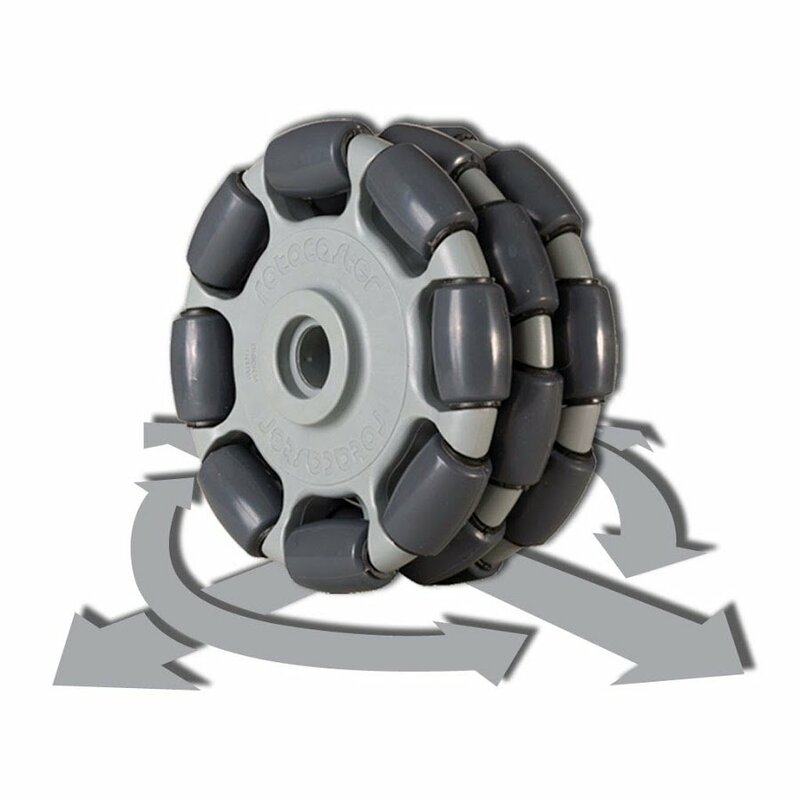 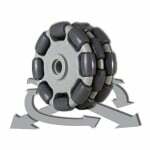 220mm x 80mm Cast aluminium toe can be used for single or multiple loads. 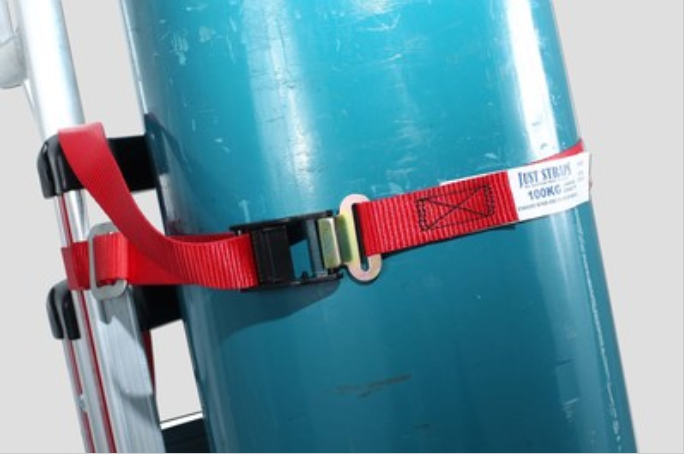 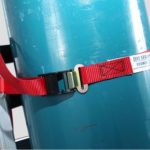 Safety Strap minimises movement for increased load safety.